Highlands Property Management, Highlands Property Managers, Highlands , CO Property Management Companies. We offer a full range of property management services tailored to you as an investor, homeowner, or landlord. 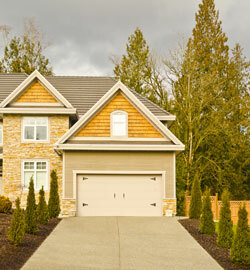 We have an extensive portfolio of single family homes, townhouses and condos in the Highlands area. Most management agreements lock you in to a contract for the life of the lease. If you have a bad experience, you are stuck. Our management agreement can be cancelled with a 30 day written notice and for any reason. Some management agreements have fees for each thing other than collecting the rent. It can add up. 60 days before a lease is going to expire, we send you a lease renewal authorization. We will discuss recent prices in your neighborhood and arrive at the increase or changes together. Most generally before we send it out to the tenant, we make an appointment to do an inspection. Most companies charge for this – we don’t. You will be charged the leasing fee when property is leased and money is collected from the new tenant. You don’t need to send any money unless it’s for maintenance that you have authorized us to do. We don’t charge a management until you are generating income. Although we do more work when your property is vacant than when it is leased, we don’t charge you during the time of vacancy. My philosophy is that you are not making any money so why should I? Many companies charge to arrange and supervise the work being done. Some companies have their own maintenance company. We get bids, get your approval, and supervise the work. This is part of our management and we don’t charge you extra for it. Call anytime from Monday thru Friday (except Holiday’s). We will answer the phone. We think it is very expensive to have your property turn over. It costs you for paint, carpet, and other needed main. If we get a violation notice from the City or the HOA, we handle it quickly and professionally. I have gotten referrals from HOA managers because they realize that we strive to cooperate and resolve problems. I am a licensed broker and have years of experience selling real estate. When an owner decides to sell, we will work hand in hand with their agent and help keep the transaction running smoothly. Our goal is to keep you happy. We will accommodate your requests whenever possible. An example is an owner that wants to arrange some of their own maintenance or do it themselves. We are OK with that and will do everything we can to help. Good tenants are like money in the bank. I don’t need to say more! I am so pleased when I call a business and get a live person. I think it’s a sign of good customer services. We pay “nighttenders” to take our emergency calls after hours. They are experts at talking the tenant through the process of turning off the water or electricity. They help save money by not having to send a plumber or electrician during the “overtime” hours. We don’t have employee turnover. Connie, our bookkeeper has been here 15 years. Sam has been here 25 years. The rest of us are family and been doing this all of our adult lives! If there is anything negative, we don’t go any further. Credit does not have to be perfect but can’t be horrible. Sometimes we will consider a larger deposit or a local cosigner if we feel that they will be good tenants that had a bit of bad luck. We double check phone numbers and other information to make sure we are talking to the real employers and real previous landlords. If they don’t have the full security deposit at lease signing, our policy is not to rent to them. We love to get your input and answer your questions about the applicant. We want to know who is living in the property. We want to be clear on what the problem is and not waste time and money sending the wrong contractor. We are careful who we hire to work on your property. They provide a copy of their license and insurance before we will hire them. Most of our contractors are small companies and all provide great service at reasonable prices. Due to our loyalty to the contractors, they keep their prices reasonable. Some management companies charge you for arranging and supervising the maintenance. 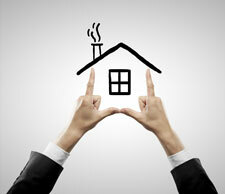 We consider it part of the overall management of your property. We call or email you when we receive a work request. Rent is due on the 1st and late after the 3rd. We call the tenant if they are late, and start serving on the 10th. We have used the same law firm for many years. They are the largest firm in Colorado and they only represent owners, not tenants. They are priced reasonably. You will get copies of invoices and we keep copies on file. Some owners prefer paper checks and we will send a check if that is your preference. By living and working in the area, we have a good handle on the market. We want to keep your property in good shape so we won’t hesitate to give our opinion of needed improvements. You might not want to make them, but you will be aware of them. We place the initial ad on “rentbits”. They distribute the ad to several sites. We use signs too. We are seeing a lot of companies that don’t show in the evenings or weekends. Many people can’t look during the day so we make sure they have an opportunity to view a property when its most convenient for them. We want to help you save money. We try to keep good tenants but if they move, our lease allows us to show the property during the last 30 days of their lease. We like to have a week between tenants for make ready projects. Copyright © Maranville Realty & Property Management. All Rights Reserved. Property Management Website by PMW.